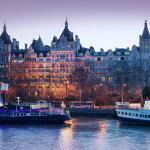 The best 5-star hotels are in Westminster, Kensington, Chelsea, Camden, in the City and also close to Victoria Station. The financial district of London, the City, is suggested instead for a business clientele, not particularly interested in shopping, entertainment and nightlife of the British capital. 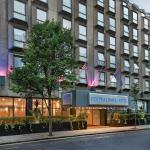 Book online a hotel in West End, a pension in the City, a B&B close to Piccadilly, or close to Oxford Street and Hyde Park with Traveleurope, is extremely easy and convenient! You can select the hotel reports, always full of useful information, services, photos and maps to see where the hotel is located, and receive instant confirmation of your booking! Click and book your hotel in London with Traveleurope! A short walk from Paddington underground station in London, stands The Park London Paddington. 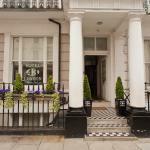 The hotel is located in a quiet district of Bayswater, not far from Hyde Park and Notting Hill. 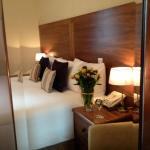 Hotel 43 London is situated near the railway station Heathrow Express in London. 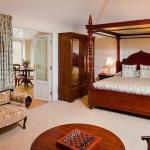 In the surroundings you can reach in few minutes Hyde Park, Notting Hill and other tourist attractions in London. Hyde Park is not far from Claridge's, as well as the shopping Bond Street and Oxford Street. This is a prestigious hotel in the heart of Mayfair in London, which offers free Wi-Fi and a 5-star service. The Royal Horseguards is located in central London near Buckingham Palace and Theatreland, between Trafalgar Square and the Thames, a short distance from Westminster, Covent Garden and the National Gallery.